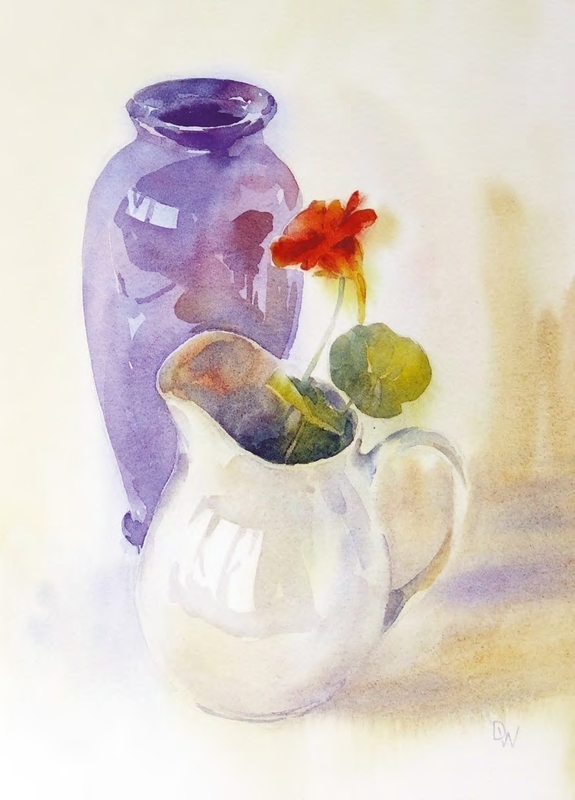 Nasturtium , watercolour on Arches watercolour paper, 13x912⁄ in. (33x24cm). The 240gsm Arches paper was lovely to work on. Although the paper is a little thin for washes, it was fine once I stretched it onto a board. 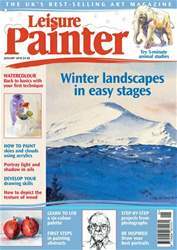 I cover stretching paper in the February issue. I’ve tried several media over the years, but I always return to watercolour. I love the transparency of the medium, and how you can create atmospheric and moody paintings with just a jar of water, a few tubes of colour, a decent brush and a good sheet of paper. Although it can be occasionally frustrating to use, the feeling you have when a beautiful, clean wash appears before your eyes is well worth the effort. Watercolour is the medium I picked up first and it still holds the magic for me today.